Here's part of the display at the Hood River County Museum when it was located at 3rd Street, behind the Butler Bank Building. 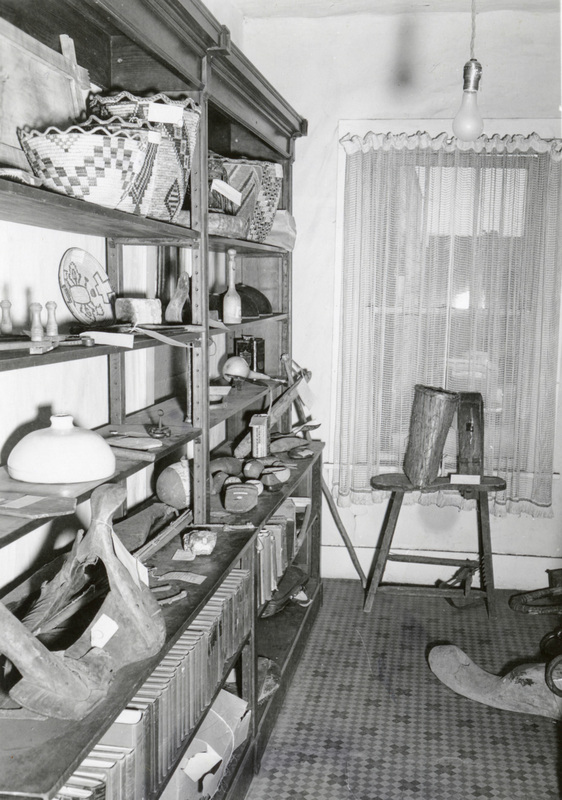 That bark basket in front of the window is on display now as part of the Salmon exhibition. The museum was at that location from 1949-1952. Hopefully you still have all those artifacts in the current museum. I recall going into this particular museum a number of times with my Dad and my aunts, who loved to see all the old things available. In 1952, we moved into an apartment just up the block from this museum. in that year, I visited the museum many times. Being a young kid, my favorite item there was an indian bow and arrow. I think the current museum still has them. I remember when part of the museum was housed in a large room on the basement floor of the HR County Courthouse. Working in the building, I would often visit during my lunch hour. I would love to ask grandfather John H. about the county process for moving the Museum into the newly built county courthouse....I remember that site, but not this one. I think moving occasionally is a healthy thing for museums. That's when you rediscover all sorts of things you forgot you had. Many items in our museum database have the notation "found during move." Otherwise items can sit for decades and be forgotten. Given the number of important discoveries that have been made in recent years with material "discovered" in museums, I wonder if more expeditions should be made to museum storage instead of remote corners of the earth.